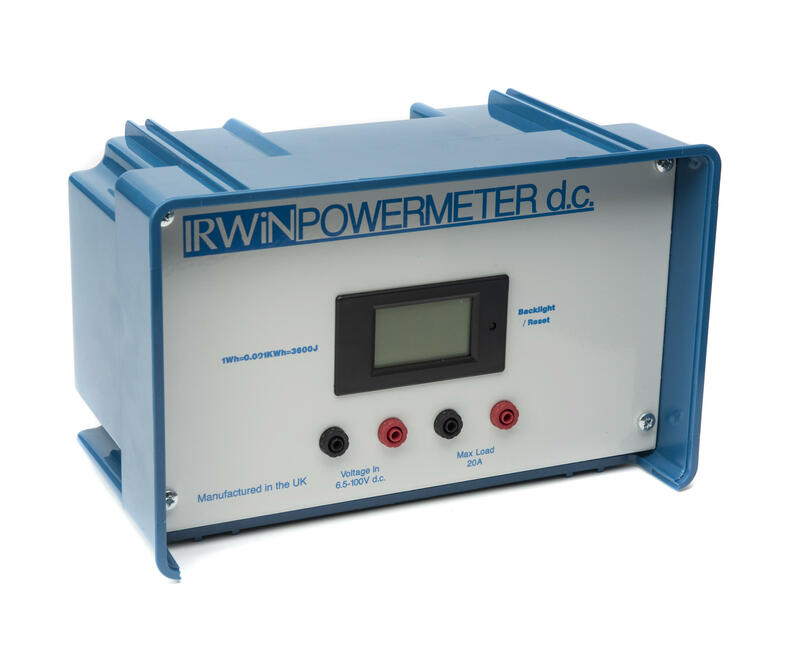 The Irwin Power Meter D.C. uses a large backlit display which displays four important parameters. 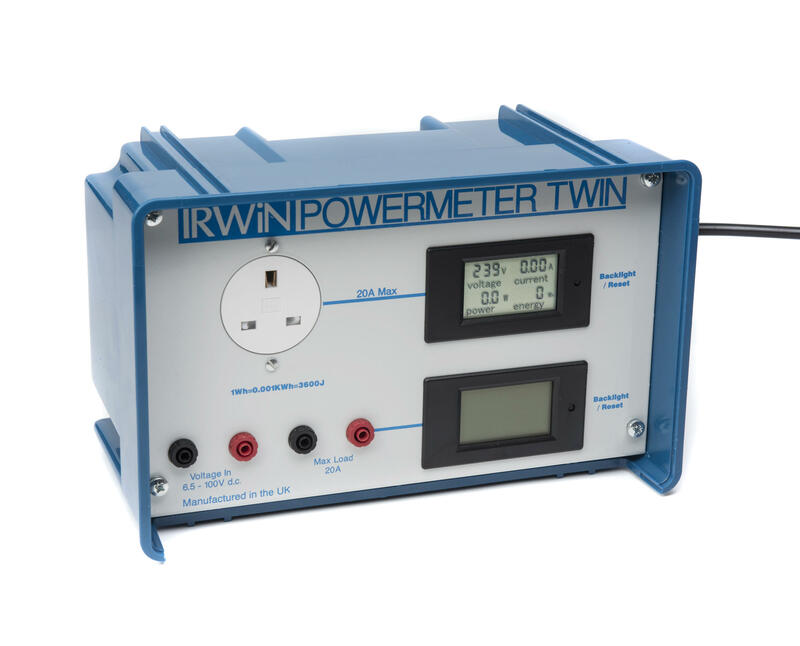 The Powermeter is designed to be used with a low voltage power pack and can accept input voltages in the range 6.5-100V d.c. The load (which may draw up to 20A) is connected to the load terminal. The display unit has a multipurpose push switch which allows the backlight to be switched on or off (the unit remembers the settings when disconnected) and allows the energy reading to be reset. The unit displays energy in Wh rather than Joules because a Joule display would quickly overflow. 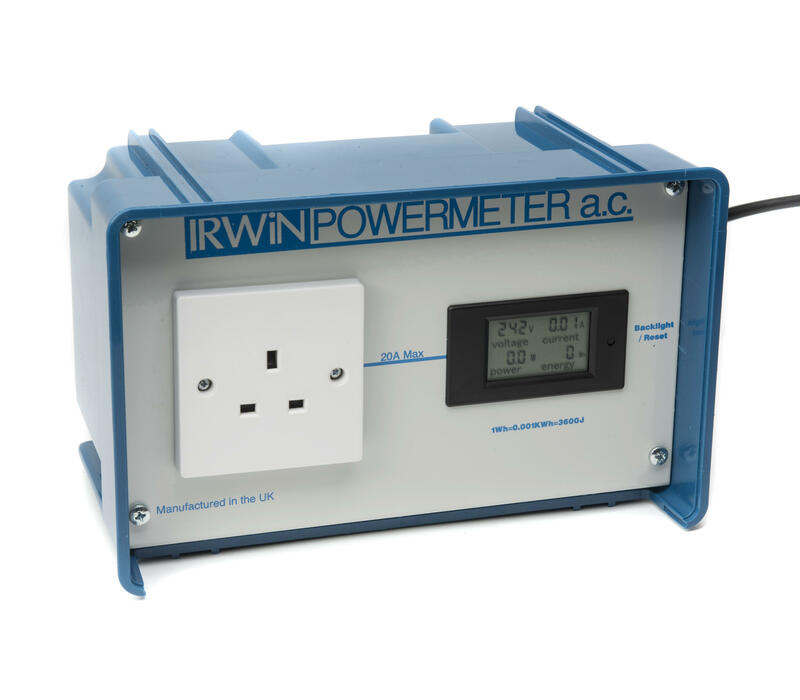 This can be used as a teaching aid (1Wh=3,600J) as well as allowing the pupil to time their power usage and calculate the energy converted in Joules. They can then compare their result with the Powermeter.